Lulu was abandoned and found wandering along a beach in Hawaii, looking for someone to help her. She was taken to the Hawaiian Humane Society, and was soon noticed by Carissa Wong and her boyfriend, who immediately knew that she was the dog for them. 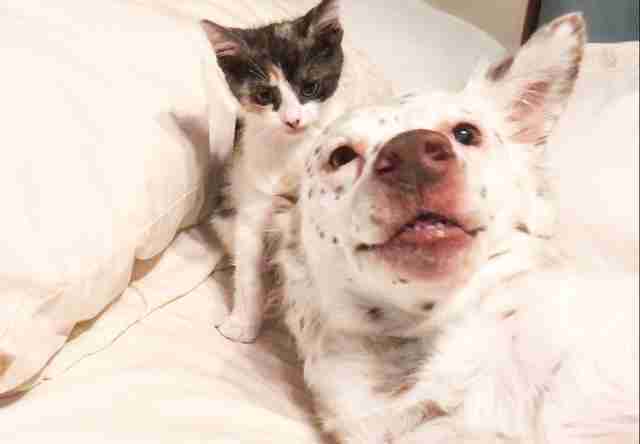 From the moment they brought Lulu home with them, her new parents could see that she was one of the sweetest dogs around — but it wasn’t until they started fostering kittens that they realized just how much love she had to give. When the couple found tiny kittens covered in resin and struggling to survive at a construction site, they immediately decided to take them home and foster them until they were healthy enough to be adopted into their forever families. 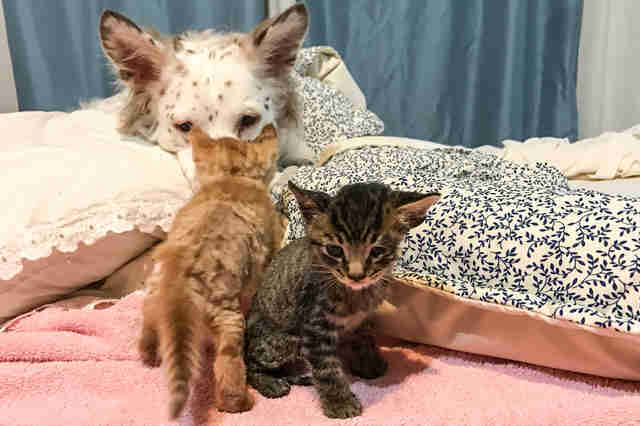 They weren’t quite sure how Lulu would react to the kittens at first — but as it turns out, Lulu is a natural foster mom and took to the kittens right away. 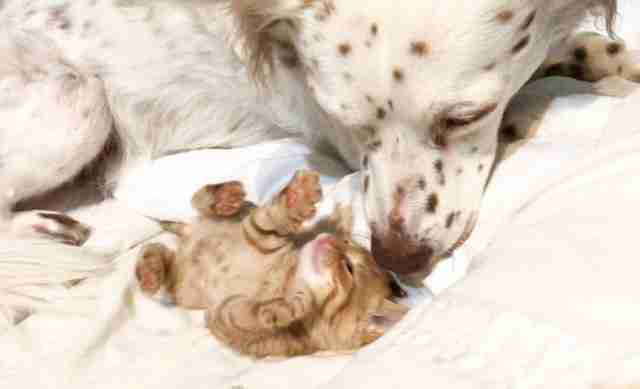 From that moment on, Lulu welcomed every foster kitten into her home with open paws. The couple have fostered more than 10 kittens over the past few months, and Lulu has helped raise each and every one, caring for them and helping them grow until they’re ready to be adopted out. 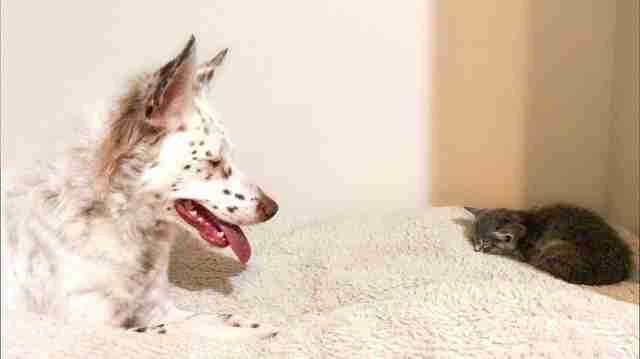 Lulu helps the tiny kittens overcome their fears too, and teaches them how to trust people. 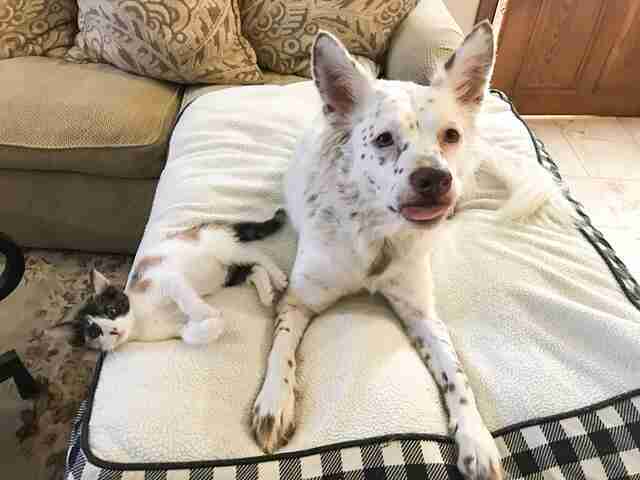 When the couple noticed a tiny kitten running loose in their yard, they did everything they could to catch her, but with no luck. 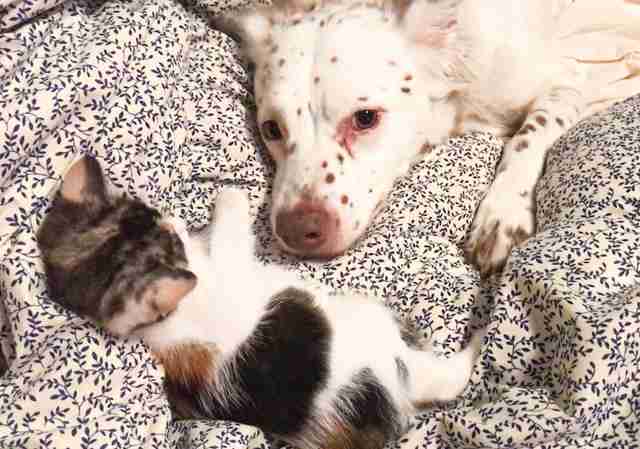 They were at a loss for what to do — until Lulu convinced the tiny kitten to come out of hiding, and was able to bring her close enough to the house for her parents to finally grab her. 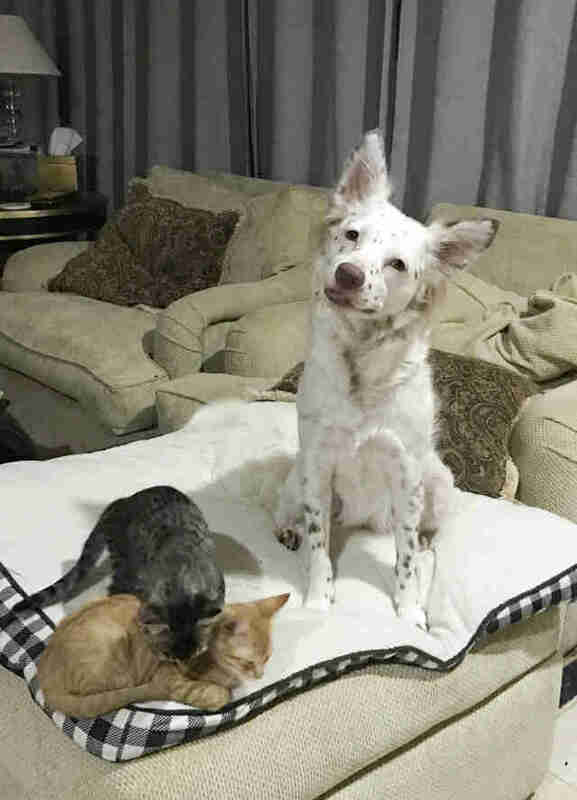 Lulu had a rough start to life, being abandoned and forced to fend for herself, but now she’s found her calling. You can follow Lulu and all her adventures on her Instagram account.